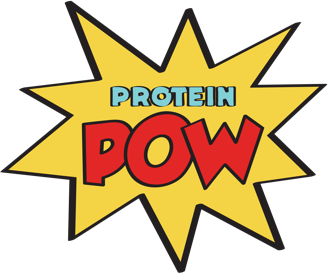 Here are this year’s Protein Pow Protein Pancake Day Competition entries. First of all, THANK YOU to everyone who submitted a protein pancake recipe to this year’s Protein Pancake Day Competition. They were all absolutely amazing! And though the winners by popular were Liliana and Mackenzie, everyone here is a protein pancakaking BEAST. Below you will find recipes for fifty completely different protein pancake recipes created in kitchens all over the world. I urge you to try as many as you possibly can! Do you know what that makes this post? It makes it the BIGGEST protein pancake post of all time! So if you love pancakes, make yourself at home here. You have over a month’s supply of recipes to whip up some bona fide protein pancake madness at home. To access each recipe, just click on the photo. Have fun! And bon appetit. 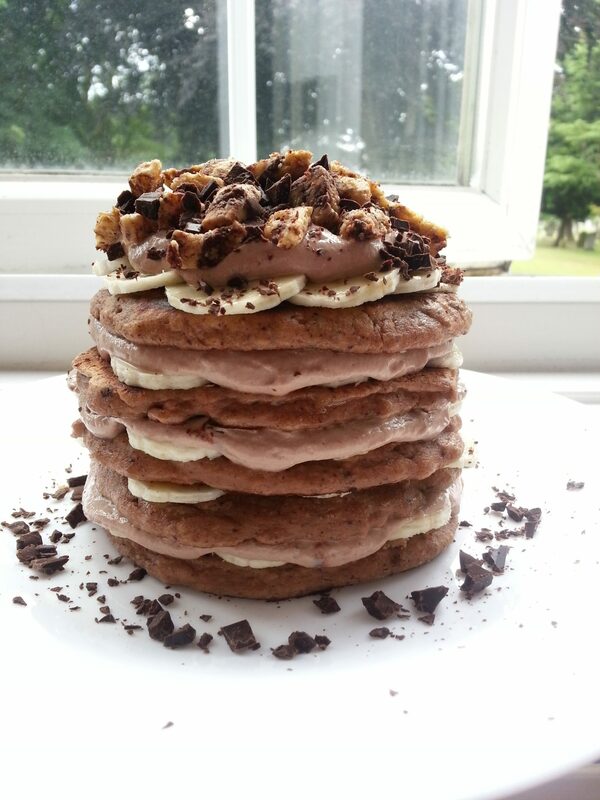 Chocolate Peanut Butter filled Vanilla Protein Pancakes – by Mitch L.
Protein Pancakes with Melted Chocolate – by Andrianne de V.
Extreme Cookies and Cream Chocolate Dream Pancakes – by Paige B. Crazy Morning Protein Pancakes – by Monica R.
Coconut Flour Protein Pancakes – by Liliana H.
Vanilla Whey Protein Pancakes – by Hazel W.
Chocolate Peanut Butter Banana Protein Pancakes – by Brooke H.
Funfetti Protein Pancakes – by Rees V.
Hulk’s Low-Carb High-Protein Pancakes – by Phuong T.
Protein Pumpkin Cheesecake Pancakes with Raspberry Syrup – by Kylie B.
Pumpkin Protein Pancakes by Protein Fluff – by Amanda E.
Dark Chocolate Protein Pancakes with a Strawberry Filling – by Bermany C.
Tropical Sunrise Protein Pancakes – by Victoria W.
PB Toffee Honey Protein Pancake – Sarah K.
White Chocolate Raspberry Macadamia Nut Pancakes – by Hannah S.
Cauliflower Protein Pancakes – by Louise N.
Chestnut Protein Pancakes with Berry Gravy – by Roee M.
Peanut Butter Cookie Dough Pancakes – by Mark Giovanni L.
Farm (POW)er Protein Pancakes – by Mackenzie K.
Chia Seed Banana Pancakes – by Sue K.
Apple Protein Pancakes with Turkey Bacon – by Nairo F.
Red Velvet Cheesecake Protein Pancakes – by Adena N.
Protein Pancake Brunch Punch – by Sanja M.
Coffee Pecan Protein Pancakes with Vanilla Toffee Pea Protein Syrup – by Alexander H.
Choco-Cherry Protein Pancake Tower – by Anikó B. Protein Pancakes with Raspberry Yogurt and Cottage Cheese – by Kristine O.
Cornmeal & Whey Strawberry Protein Pancakes – by Nicole T.
P4 (Power Protein Pancake Powder) – by Steven T.
Boston Cream Pie Protein Pancakes: – by Rebecca G.
Sweet Potato and Chocolate Pancakes – by Kari P.
Nut Nut Protein Pancakes – by Sarah J. Quest Chocolate Chip Cookie Dough Protein Pancakes with Chocolate Protein Fluff – by Marie C.
Lasagna alla Bolognese Protein Pancakes – by Iliaria S.
Hulk’s Protein Pancakes – by Lizzie P.
Banana & Chocolate Protein Pancakes – by Dan R.
Oreo Double Stuffed Protein Pancakes – by Amanda F.
Brazil Nut Strawberry Protein Pancakes with Blueberry Protein Spread – by Rebekah M.
Sticky Date Protein Pancakes with Salted Caramel Syrup – by Sam A. Vanilla Chai Sweet Potato Protein Pancakes – by Paulina W.
Triple Choc Maca Pancakes – by Jessye M.
Protein, Oat and Greek Yogurt Pancakes – by Courtney R.
Chocolate Protein Pancakes – by Joørgen J.
Banana Protein Pancake Tower – by Royston S.
Friday morning Cottage Cheese Protein Pancake Wraps – by Aline V.
Kiwi Protein Pancakes – by Bevis L.